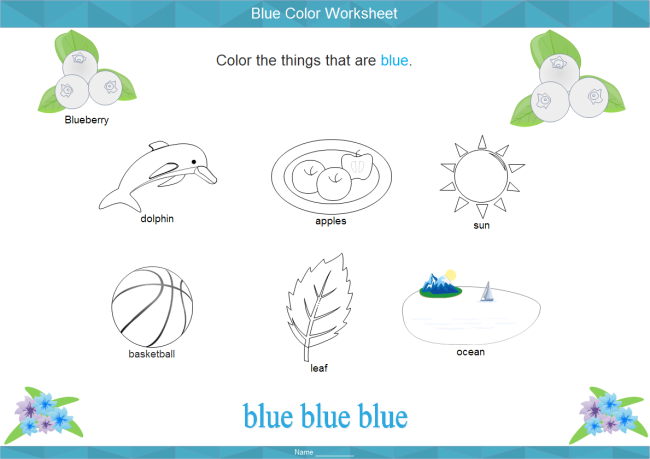 Description: Here is a simple blue color worksheet example. It makes doing exercise more interesting with pictures. This worksheet is created by Edraw Max, a great infographics maker.